I have to be honest and tell you that while the many dietary changes I have made to improve my thyroid health have been hard, quitting coffee has been my most challenging. It is often said that the change we resist the most is the change our body needs the most. 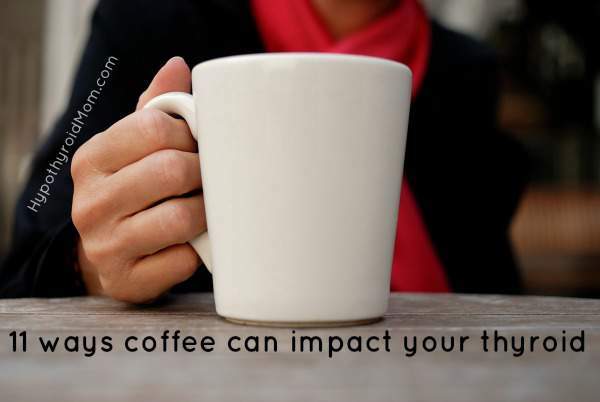 If you’d rather relinquish anything to keep your coffee, you’d be on par with the majority of the people around you. Many reliable studies are often cited in confirming that coffee is full of antioxidants and polyphenols. However, these same antioxidants and polyphenols can also be found abundantly in many fruits and vegetables. In addition, there are also a variety studies showing coffee’s role in the prevention of cancer, diabetes, depression, cirrhosis of the liver, gallstones, etc. Beyond science, there is also the undeniable feeling of comfort in a morning routine, a stop at a favorite coffee shop, the smell, the buzz, and the energetic boost and mental clarity that come with a good cup of joe. Coffee is metabolized in Phase I of the liver detoxification pathway, and some people have a harder time breaking it down – we call them “slow metabolizers.” This can either manifest immediately, presenting shaky and jittery feelings, or in a delayed fashion, such as poor sleep and digestive issues. 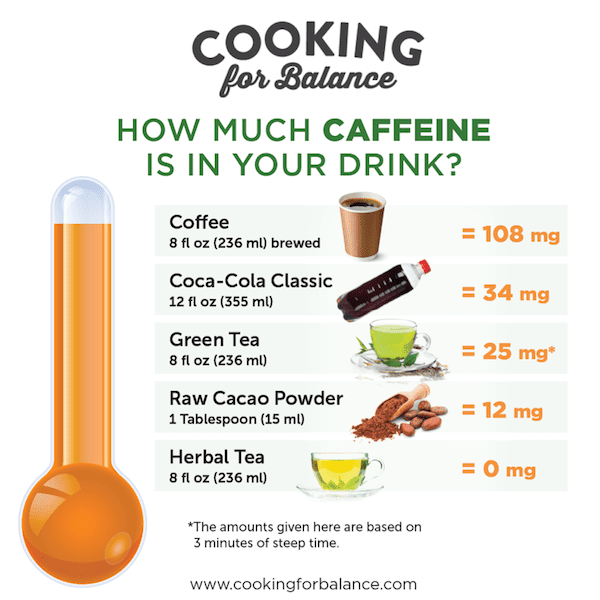 According to this study, caffeine increases blood sugar levels. This is especially dangerous for people with hypoglycemia (or low sugar levels) who feel jittery, shaky, moody and unfocused when hungry. Blood sugar fluctuations cause cortisol spikes, which not only exhaust the adrenals, but also deregulate the immune system. This is highly undesirable for those of us with adrenal fatigue, Hashimoto’s or Graves’ disease. Such cortisol spikes are also highly inflammatory (read more below). As the result of the above (increase in sugar levels), when our blood sugar levels come down, we need an emergency fix to bring them back up. This is why people who drink coffee at breakfast or indulge in sugary and processed breakfasts crave carbs and sugar by 11am or later in the day. There is conflicting research concerning the connection between coffee and inflammation. Some studies like this one (source) from 2017 from Stanford University School of Medicine suggest a cup of coffee may counter age-related inflammation. Contradictory effects have been reported too and it may be individual (source). It’s a disputed area, but many health practitioners don’t suggest it for two reasons. For one, many manufacturers use a chemical process to remove caffeine from the coffee beans. The result is less caffeine, but more chemicals. Secondly, it is the caffeine in the coffee that has the health benefits we discussed above. Without it, you are left with little benefit. Many people who have made extensive dietary changes will admit that coffee was the last and hardest thing to eliminate from their diets. Coffee is our ritual; it’s our best friend. If you feel like you still need a slight kick, go for less-caffeinated options, such as green tea. Use the below infographic to guide you. 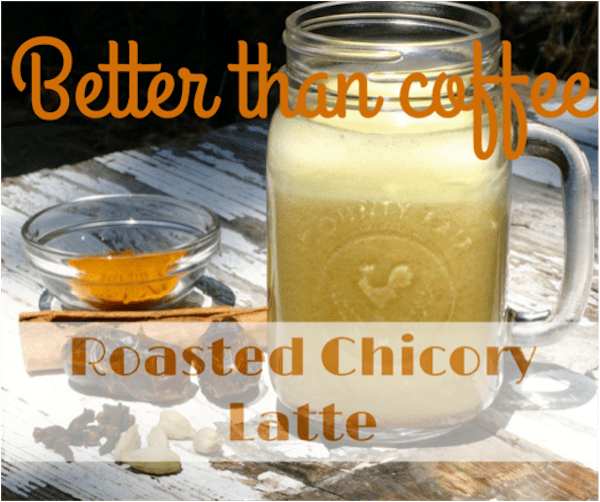 [RECIPE] ROASTED CHICORY ROOT LATTE If you are suffering from thyroid issues, Hashimoto’s, adrenal fatigue, insomnia, anxiety, hot flashes or hormone-related conditions, it’s important to be fully aware of the “other side of coffee” and make an educated decision whether it is good for you. Bring water to a boil, add chicory root and steep for 10 minutes. Strain and transfer to a blender. Add the ghee (or any fat you decide to use) and the date. Blend for 1 minute at high speed. Top with freshly grated nutmeg and enjoy. Magdalena Wszelaki is a nutritional coach, hormone specialist, chef, and diet coach. She has a long history of hormonal challenges herself, from Hashimoto’s and adrenal exhaustion to estrogen dominance. She is in full remission today and lives a symptoms-free life. Check out her book Cooking for Hormone Balance . I have been wondering if the caffeine in my coffee was suddenly an issue. Your article gave me much to ponder. I have been hypothyroid for around 16 years and on levothyroxine. (drank the radioactive cocktail). I previously was hyperthyroid with Graves Disease. I have always been a heavy coffee drinker, but recently I have thought it was causing me to feel hot flashy … and dizzy. I am in the stage of life where you wake up every day to something new … And its never something good. I might get taking my last sip of coffee as I post this comment. Thanks for your sharing! I love my morning coffee. I only have 2 cups. And for a year of taking 75 MCG of Levothyroxine I was able to have 2 cups of coffee every morning. With no issues. With no reaction. Suddenly I have a bad reaction if I have coffee. Even one cup I get a bad reaction. I don’t understand it. Coffee never bothered me for an entire year. I take my Thyroid medicine at 6:30 am and have my coffee at 9 am. But the feeling I get after having coffee is so bad. I feel like I might have a heart attack. I get all keyed up. Feel like I’m going to jump out of my skin! Does anyone know why suddenly I’m sensitive to caffeine? but what about the fact that I never drank coffee until my mid-40s .. I woke up one day and was .. exhausted. had to do something so I started drinking café con leches (espresso drink here in very latin-dominate s FL) I moved to a quad-shot (yes 4) of espresso every a.m. still doing that but ready for a change as this is not working anymore .. but what about the faigue felt that drove me to coffee to begin with ..? all blood tests come back “within normal limits” . (I think they are wrong and its a thyroid thing) wish it wasn’t, but I feel it . every . day . so.. quitting caffiene will only send me right back to where I was when I started drinking espresso .. which I went most of my life without .. pls respond. Height =5’10” and my age is 20 year. Can any have idea about this thing.